Tao Group Dinner Series presents the Taste of Bodega Negra. 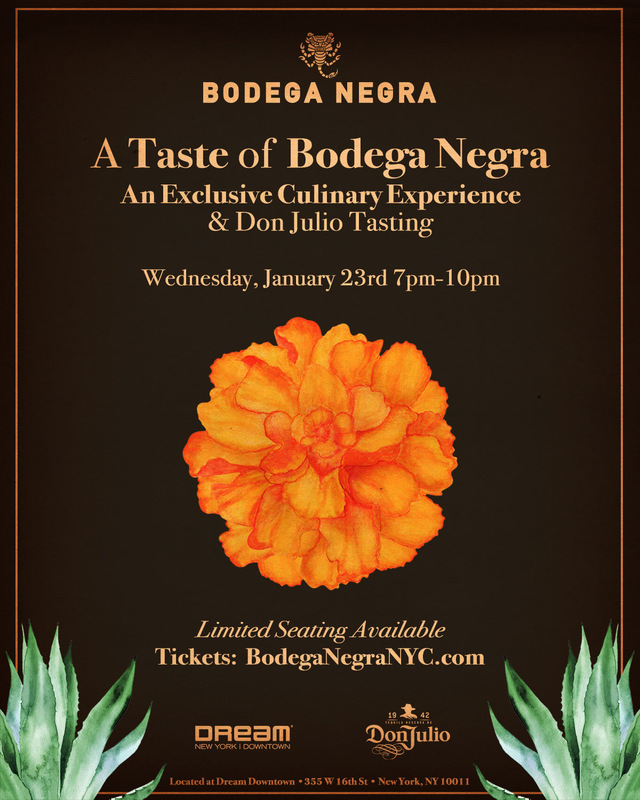 Join us for an exclusive 6-course tasting menu exhibiting food highlighting the flavors of Jalisco, Mexico with tequila provided by Don Julio. The intimate affair in our private dining room treats you to a series of dishes unavailable to the public.